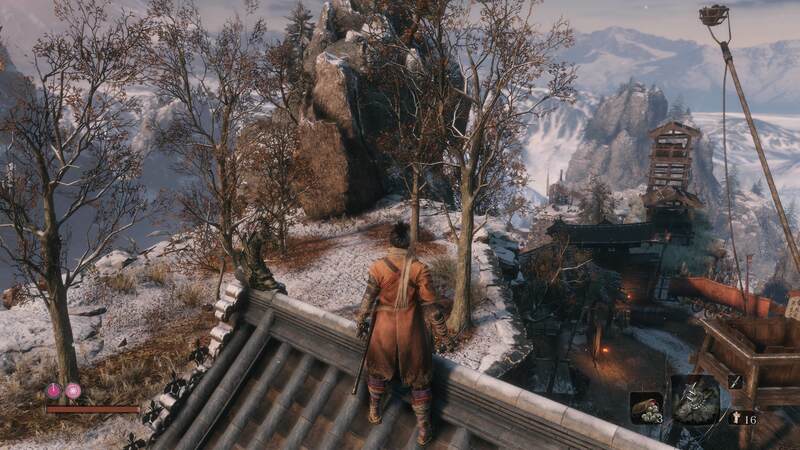 Dazzle beasts in Sekiro: Shadows Die Twice by learning where to find the Shinobi Firecracker location. 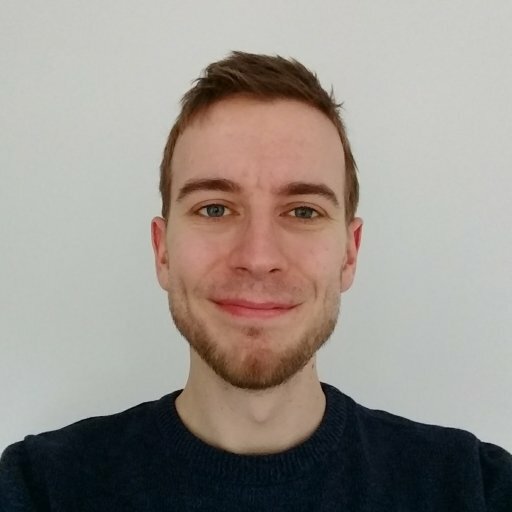 Along with direct weapons like axes and spears, the Shinobi Prosthetic in Sekiro: Shadows Die Twice provides handy utility in the form of Shurikens and Firecracker. Both can be obtained early in the story, but it’s shockingly easy to run straight past the latter. 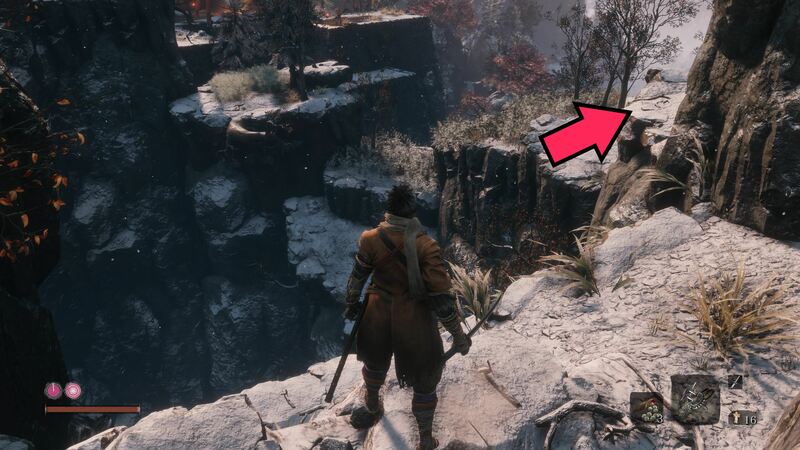 In this guide we’ll make sure you don’t miss them by detailing how to find the Shinobi Firecracker location in Sekiro: Shadows Die Twice. If you’ve reached the Ashina Castle gates and found yourself face to face with a terrifying, spear-wielding horseman, don’t despair! You can make this fight a whole lot easier on yourself by grabbing the Shinobi Firecracker first. This useful shinobi prosthetic tool costs a beefy 3 Spirit Emblems to use, but can stagger animal bosses or horse riders when close, giving you a chance to lay into them with some posture and vitality damage. 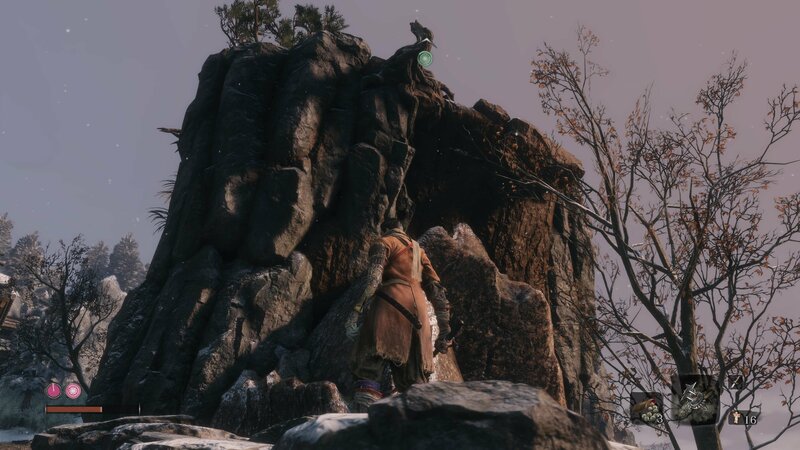 If you’ve already defeated the horseman at Ashina Castle Gate, obtaining the Firecracker is as simple as exploring the edge of the boss area to find some stairs up to a building. On the path to the right of a building is a merchant who’ll sell you the fireworks you need. If you haven’t beaten him yet, there’s another place to find them. 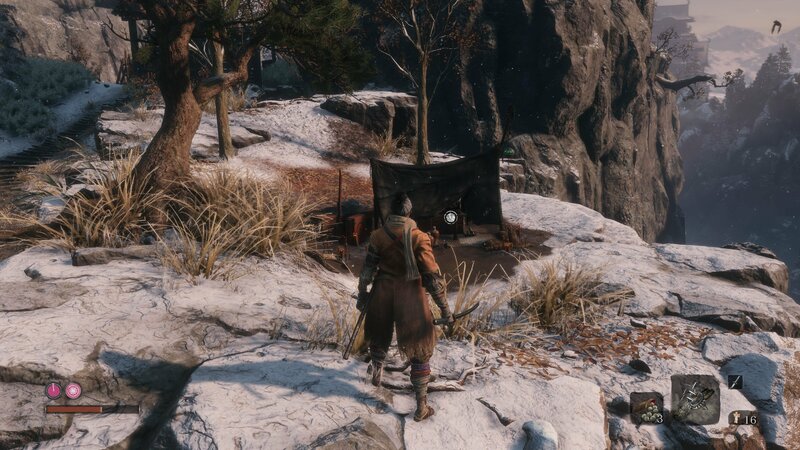 The Firecracker location can be found in Ashina Outskirts, between the Outskirts Wall and Gate Path Sculptor’s Idols. From the Outskirts Wall Idol, grapple up to the gate ahead, then hop off the roof to the platform on the left side. Drop down the subsequent ledges but stick to the left, dropping down ledges here until you can grapple or jump over to the area covered with the long grass. From here, turn to your right and follow the path up the hill from the long grass. It should curve round the left side of this steep hill. Grapple up to the branch above you at the end of the short path and you’ll reach a plateau at the top with a merchant’s tent surrounded by crows. Speak to the Crow’s Bed Memorial Mob and you’ll be able to purchase Robert’s Fireworks for 500 sen. If you don’t have that much on you, either kill the nearby enemies and return or use/sell your small and heavy coin purses until you can afford the fireworks. With the fireworks in your possession, make your way back to an Idol and travel to the Dilapidated Temple. The Sculptor will be able to use the fireworks to fit a new shinobi prosthetic tool, the Firecracker. As we mentioned before, these can be used to stun enemies, but work most effectively against animal bosses such as the horse rider at the Ashina Castle Gate. Use it when they’re up close to stagger them, leaving plenty of time for followup attacks. 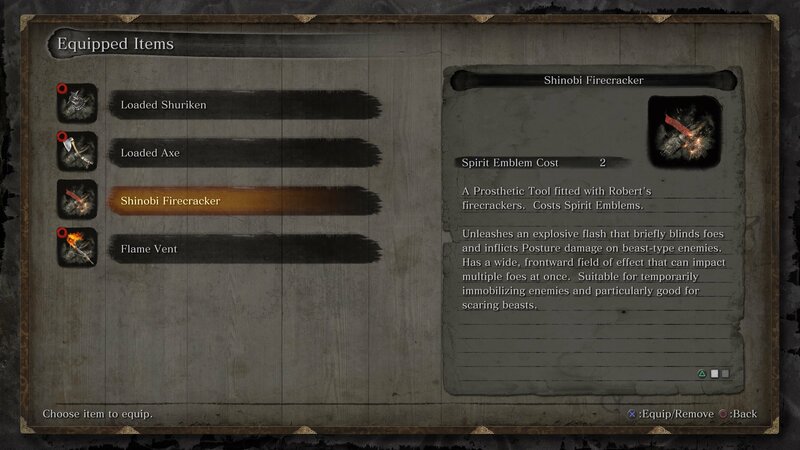 Now that you know the Shinobi Firecracker location in Sekiro: Shadows Die Twice, you might want to grab the rest of the shinobi prosthetic tools. Take a look at our Tools location hub where we can help you find them all, including the Loaded Axe, Flame Vent and Loaded Spear locations to reward your hard work as a shinobi with some extra weaponry!